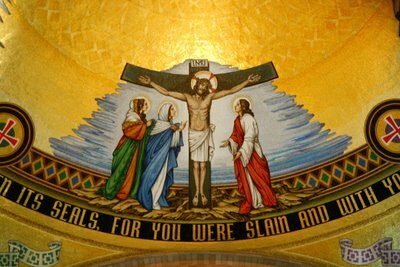 At the close of Sunday night's liturgy, I was asked if this week's meeting would have a closing Mass. After replying that USCCB plenaries only have big Eucharists at their opening, I realized that, this year, it was an erroneous statement. Tomorrow afternoon, many of the bishops'll be boarding buses to the nation's capital for a Mass celebrating the dedication of the newly-completed "Redemption Dome" at the Basilica of the National Shrine of the Immaculate Conception. 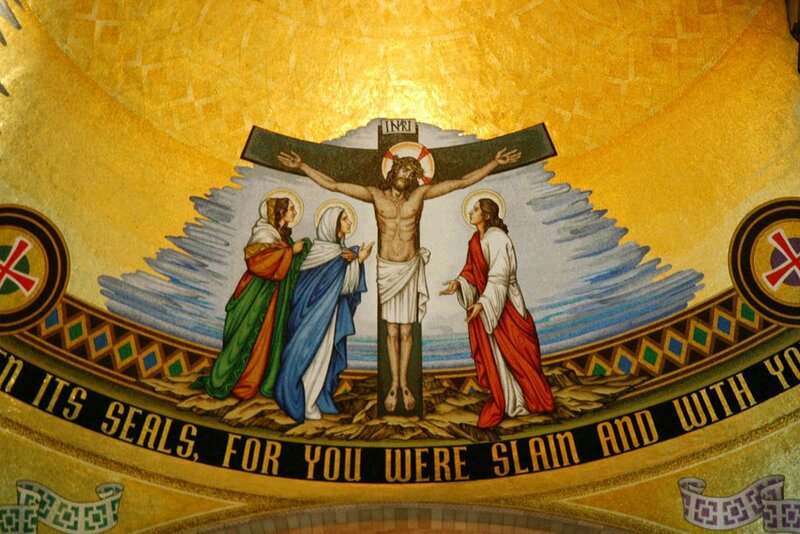 The 4pm liturgy will be celebrated by Archbishop Donald Wuerl with the chair of the National Shrine's iconography committee, Cardinal Justin Rigali, as homilist. At least three other cardinals and a horde of bishops are slated to concelebrate, and 3,000 programs are being printed up for what's expected to be quite the crowd in "Mary's House," the nation's "patronal church." 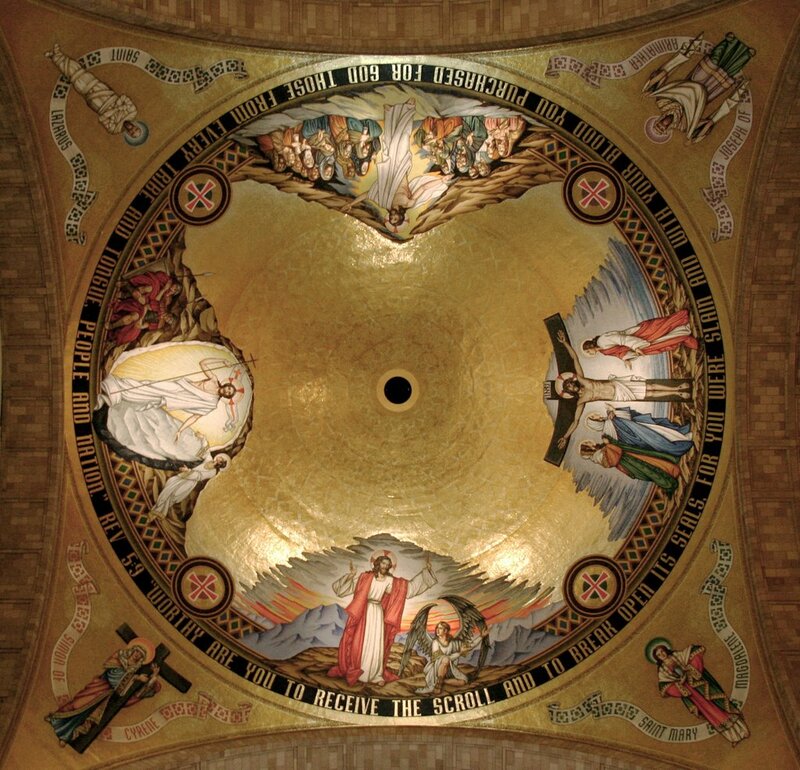 Designed by Rambusch and made in Italy, the 3,780 square-foot dome is the first of three to complete the plans of the Shrine's architects in the adornment of its interior. Work is already underway for the second of the minor domes, with the theme of the Incarnation, and plans are in the offing for the "filling in" of the upper church's Great Dome with a mosaic of the Trinity, anticipated for completion in 2009, in time for the 50th anniversary of the dedication of the western hemisphere's largest Catholic church.